Boasting a fabulous 3,581-square-foot palatial layout, this move-in ready masterpiece presents a once in a lifetime opportunity! Not only do you have incredible light-filled living spaces designed with entertaining in mind, but this property’s outdoor amenities offer a vacation-inspired atmosphere that’s all yours. A greenbelt provides privacy in the backyard, and a bonus 3rd car garage offers even more versatile space to enjoy. 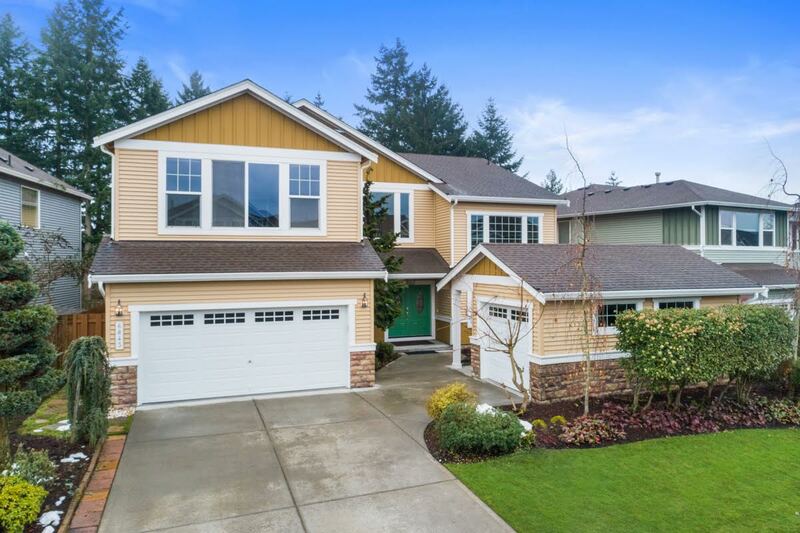 Located at 6843 Montevista Dr SE Auburn, WA 98092 in the highly desired Lakeland Hills neighborhood in Auburn, this 5-bedroom, 2.75-bath gem is listed for $600,000. Built in 2004 and beautifully maintained over the years, this move-in ready residence is an absolute dream come true. When you pull in the driveway, the main 2-car garage and the bonus garage (perfect for a 3rd car or a work/hobby area!) are at the ready, and the eye-catching front entryway makes for a memorable first impression. Step inside to find soaring ceilings and sunlight cascading in through towering windows, and spotless hardwoods meet plush new carpet in this home’s dynamic layout. 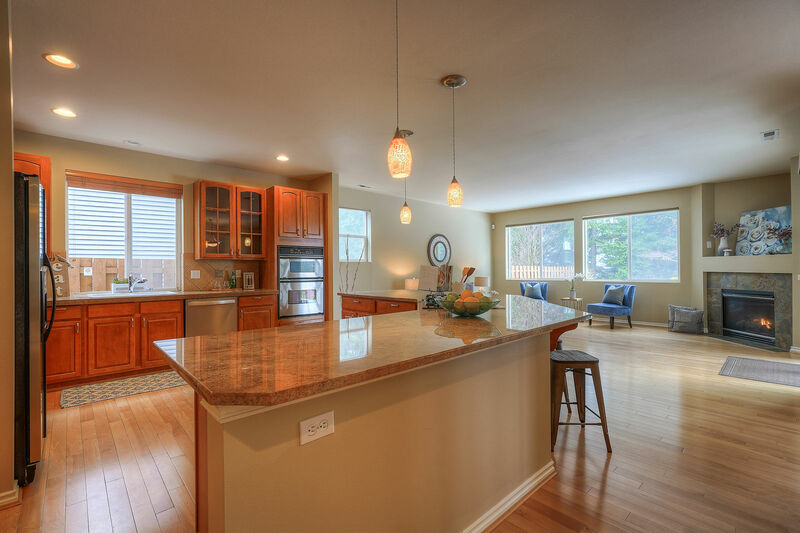 Immediately to the right you’ll find the front living room, perfect for entertaining guests. 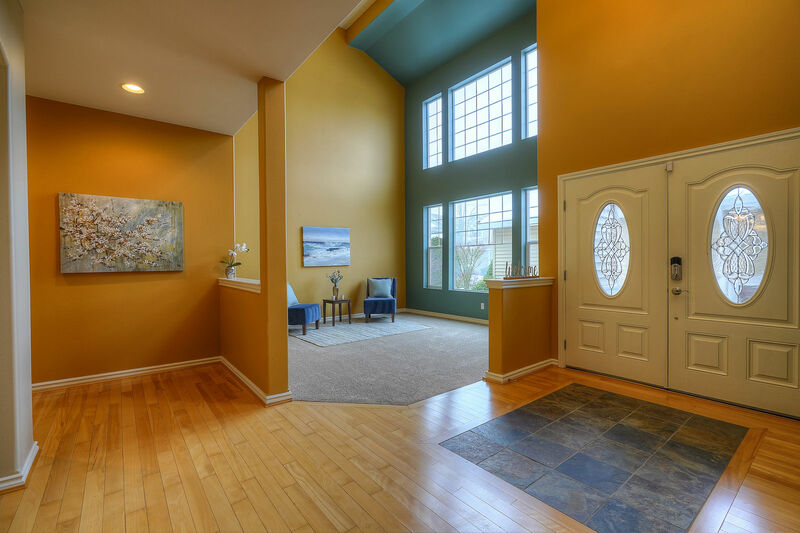 The layout flows into the formal dining room, and if you’ve been envisioning a home where you can host holiday gatherings and special occasions, this home delivers and has room for a crowd! The layout flows into the back of the home where open-concept living awaits. The huge kitchen is replete with both fashion and function—shimmering granite counters, sleek stainless steel appliances, a walk-in pantry, a massive wrap-around island, and stylish elements make up this dynamic offering. Whether you’re getting down to business and whipping up homemade meals or you’re simply relaxing at the bar-style counter seating or in the dining nook sipping on a glass of wine with a friend, the inviting atmosphere is a joy to spend time in. The same can be said of the adjacent living area—snuggle up on the couch next to the cozy fireplace, and take in tranquil views of the greenery in your backyard! The main level also includes a den with a built-in desk and a Murphy bed, making it easy to use the space as an office or a guest bedroom. 5 more bedrooms await, and upstairs you’ll find flexibility (plus new carpet!). The master bedroom is a definite highlight, with its huge layout (find ample room for a sitting area and desk), walk-in closets, and ensuite bath. 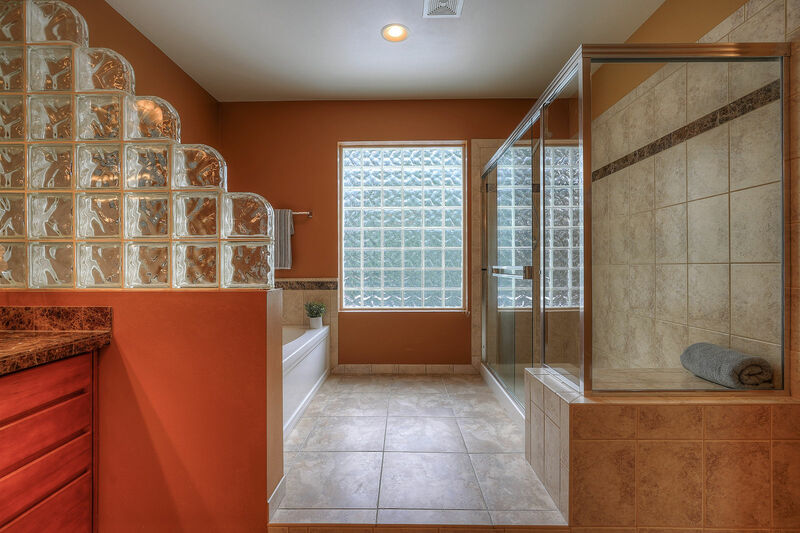 Luxury awaits at every turn in the master bath, a spa-worthy haven that includes double sinks, a soaking tub, an extra-large shower, and exquisite finishes throughout. When the snow melts away and springtime arrives, this property’s outdoor amenities present a truly incredible opportunity for those who love spending time out in the fresh air! Nestled along a lush, private greenbelt, you get to feel miles away from city life as you relax on your patio or garden away in one of the potential flower beds. Fabulous possibility waits for you in this Lakeland Hills masterpiece! 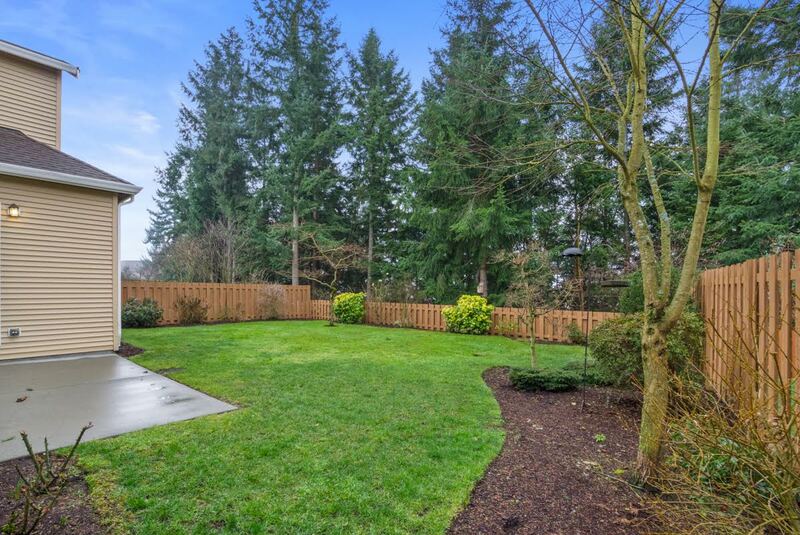 At 6843 Montevista Dr SE Auburn, WA 98092, you’re in a highly desired neighborhood that’s wonderfully close to city conveniences and outdoor opportunities. Sunset Park is just a couple blocks away, and here you’ll find fields, a playground, trails, baseball diamonds, sport courts and more. 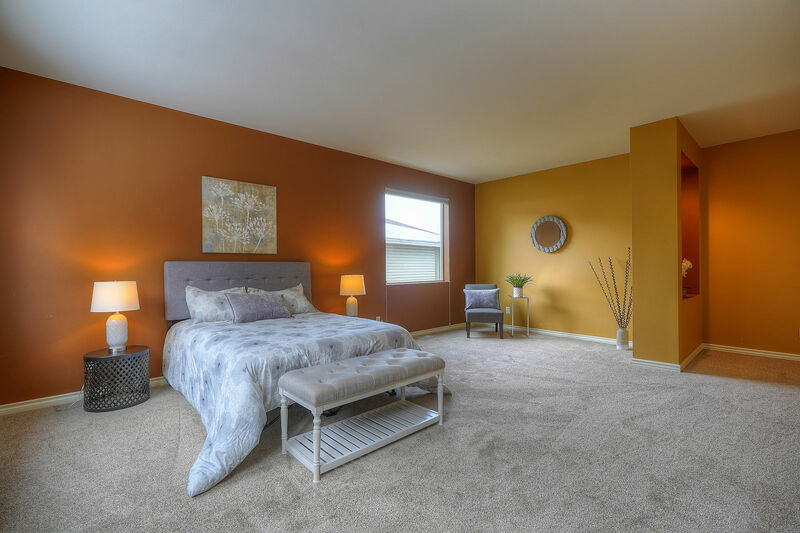 You’re also less than 1 mile to the local elementary school, and grocery shopping, restaurants, services and more await just half a mile from home along Lake Tapps Parkway. Lake Tapps and its parks and water sport opportunities is merely minutes away from home as well, and Highway 167 is a short 7-minute drive away, a delight for commuters! Interested in learning more? Click here to view the full listing! You can also contact REALTOR® Rachel Holland online here or give her a call/text at (360) 224-0689.